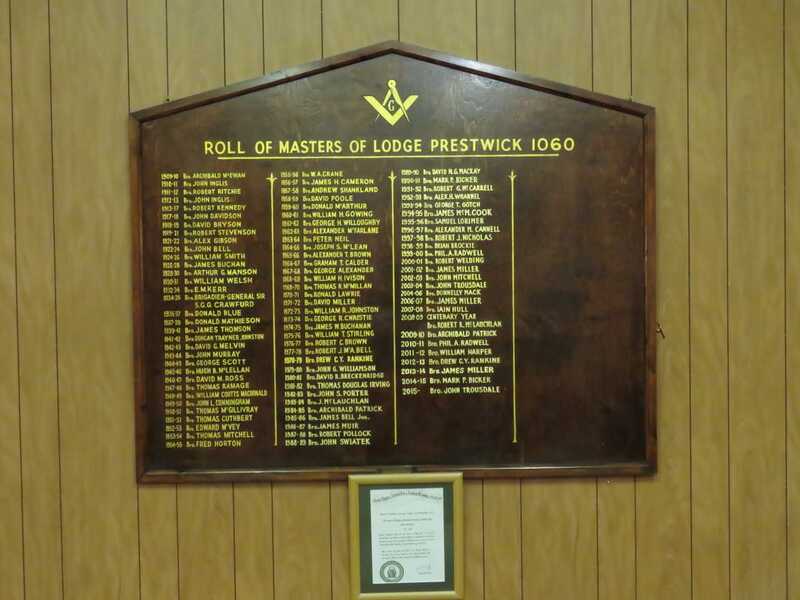 Prestwick Masonic Lodge, numbering 1060 on the roll of the Grand Lodge of Scotland, although nearing its 100th year, is comparatively young compared with many Sister Lodges in surrounding Ayrshire. 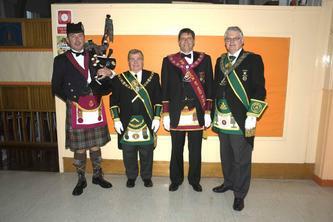 The sponsor lodges for Lodge Prestwick were two local Ayr lodges namely Newton upon Ayr 125 and Ayr St Paul 204. 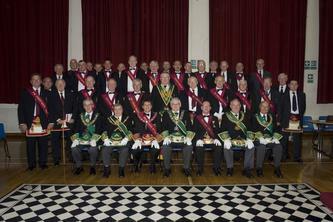 The charter was granted on 5th August, 1909 under the seal of the Grand Lodge of Scotland, headed by Grand Master Mason Bro. John (Stewart-Murray), Marquis of Tullibardine. 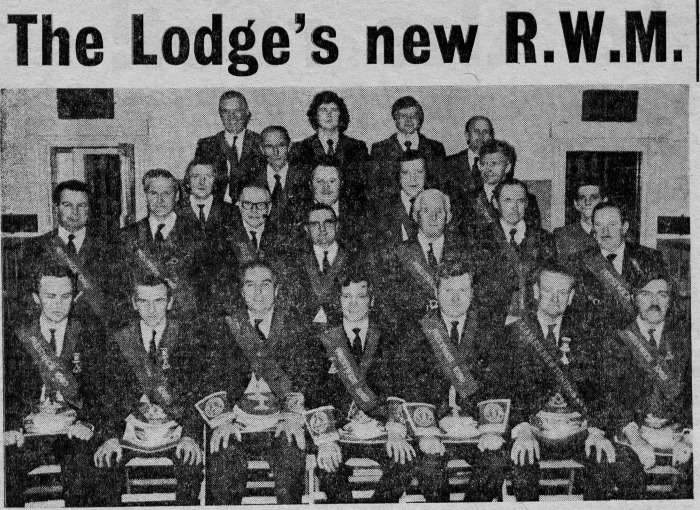 The first R.W. 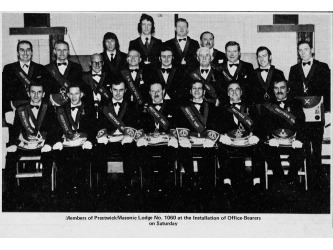 Master of the lodge was Baillie Archibald McEwan ably assisted by Provost Gray Edminston as Depute Master. 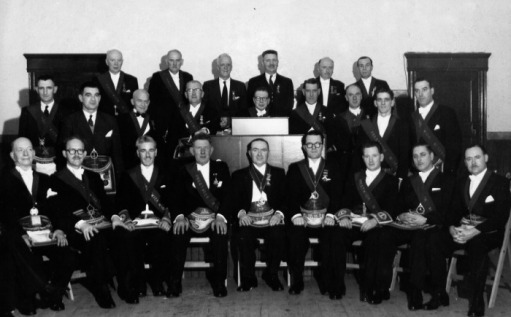 The first Bye-laws of the Lodge were adopted on 24th December, 1909, being examined and sanctioned by the Provincial Grand Lodge of Ayrshire. 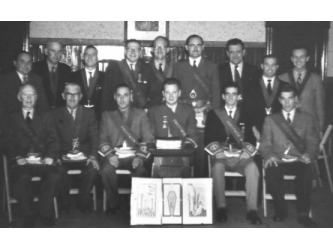 Throughout the years many distinguished Prestwick personalities joined and served the lodge, including Brigadier General Sir S.G.G Crawfurd, who was R.W.M for 1934/35 and went on to become Provincial Grand Master of Ayrshire. Initially, having no premises of its own, the Lodge , of necessity, met in a variety of places; the first being the Freemans Hall, which is still in existence just north of Prestwick's Mercat Cross. 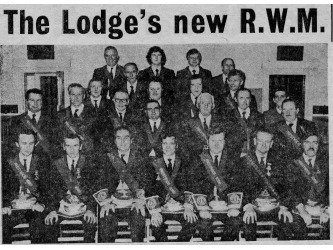 In 1923, a site was acquired in Bridge Street (since renamed Kyle Street) But unfortunately it was never found expedient to build there-on and the dreams of a purpose-built lodge as a legacy for the succeeding generations of brethren was never realised. 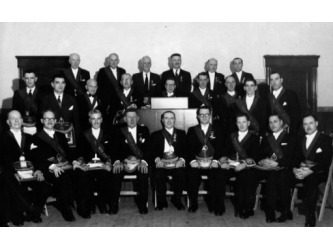 In December 1956, however, the long felt want and dream was realised when the former Eastern Star hall in Berelands Road came on the market and was purchased by the Brethren and renamed the Masonic Hall. The Eastern Star still meet here to this day. Over the years many improvements and alterations have been made to the hall, mainly to cater for the Lodge meetings. 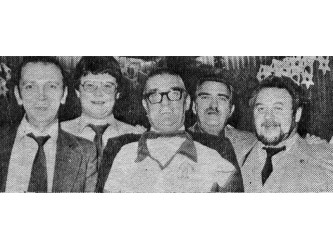 A Masonic Social Club was introduced in 1969 and in 1986 the site next door to the hall, which housed a temporary commercial establishment, was purchased with the sole purpose in mind of constructing.......a True Masonic Lodge. 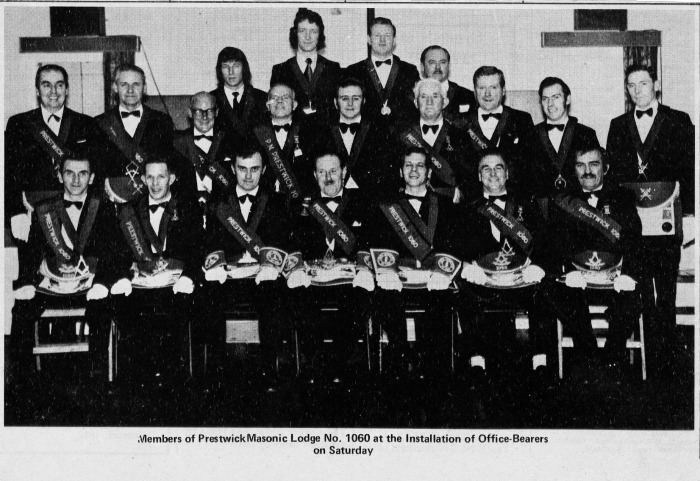 This brief history of Prestwick 1060 Masonic Lodge was researched and prepared for the Lodge by the late Past Master (1954-1955) Brother Fred Horton, MBE, JP and a former Provost of Prestwick (1969-1972). Photographs of the day (click to enlarge). 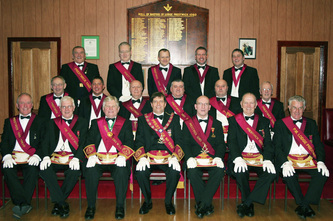 1) Members of Grand Lodge of Scotland, Provincial Grand Lodge of Ayrshire and Lodge Prestwick 1060. 2) Members of Provincial Grand Lodge of Ayrshire and Lodge Prestwick 1060. 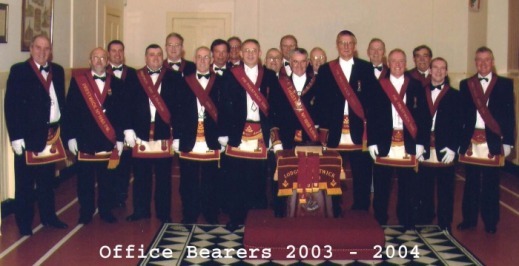 Elected as Lodge Secretary (6 years) in 1969 and installed as Master in 1978 and again in 2012. 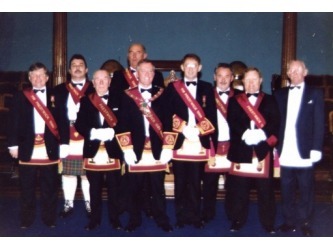 Elected Provincial Grand Steward in 2001 until 2003. Commissioned as Provincial Grand Secretary by R W Provincial Grand Master Bro. James Stuart Lanes form 2003 to 2008. Elected Member of Grand Committee in 2006 and serving till 2008. 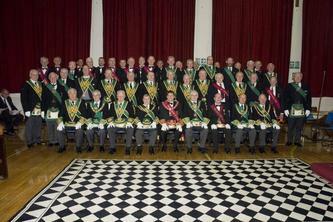 Commissioned as Substitute Provincial Grand Master by Right Worshipful Provincial Grand Master Bro. Archibald Chalmers from 2008 to 2013. Bro. John Davidson 1st Substitute Master. Bro. 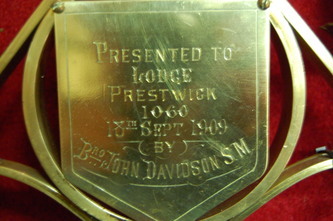 John Davidson was the first Substitute Master of Lodge Prestwick 1060 when it was chartered in 1909. He went on to become RWM in 1917 – 1918. 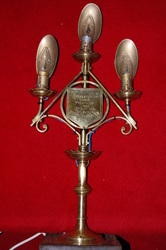 A candelabra presented to the Lodge by him at the first meeting on 18 September 1909 is still in use today. 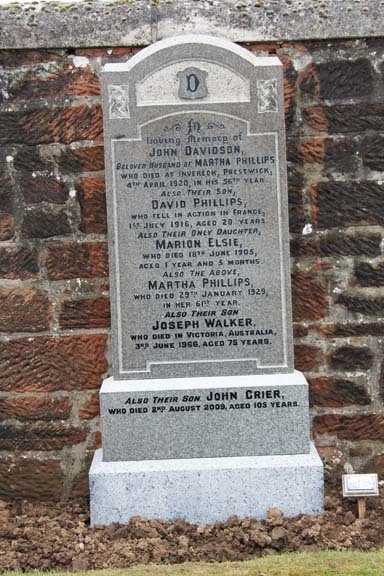 John was appointed Convener of Shores and Attractions in 1910 and went on to become Provost in 1918. He was still in office at the time of his death in 1920. 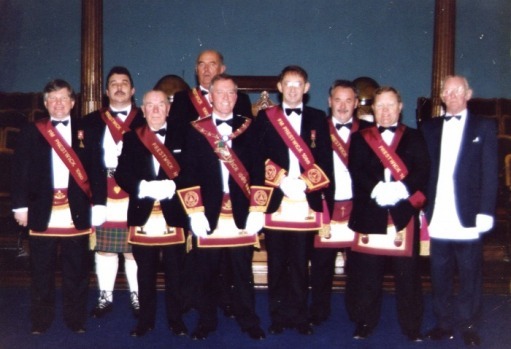 His funeral cortege was preceded by members of Lodge Prestwick 1060. Gray Edmiston was Provost of Prestwick twice in his lifetime. The first between 1897 and 1903 which was before Prestwick gained its town charter. He was instrumental in ensuring Prestwick became a town, prior to that Prestwick did not have this status even though it was a Royal Burgh. 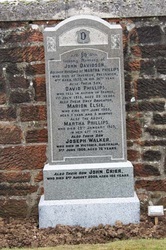 There is some speculation as to why he was not elected the first Provost of the town council especially as he was the incumbent Provost. The second time was between 1906 and 1912. During his second term, he was responsible for laying out the esplanade and introducing better drainage and sewerage along with street lighting. There are 2 residential locations in Prestwick aptly named Gray Street and Edmiston Avenue it has been suggested these were both named in recognition of him. Epistle to Provost Gray Edmiston, Whitehall, Prestwick. While scanning and planning to gain the foremost place. Unceasing, increasing the efforts you employ. And that's more and what's more it brings you joy and peace. Till death calls, then windfalls appear when they are gone. Not lurking, but working, you ever shall succeed. Written by Robert MacKenzie Fisher, author of a very interesting volume, entitled "Poetical Sparks," which has reached a fourth edition, was born at Prestwick, near Ayr, in 1840. 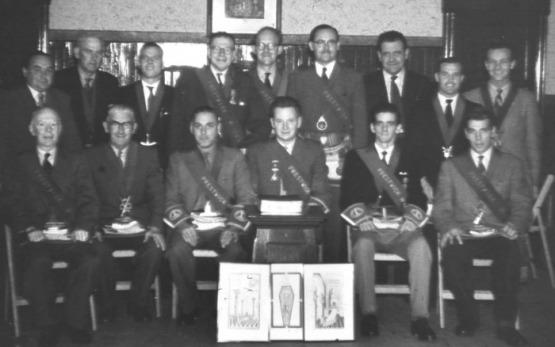 Second row of pictures - Office Bearers 1957 - 58, Office Bearers 1959 - 60, Deputation to the isle of Man 1994.